After the atrocious offseason of 2014, Doug Wilson and his San Jose Sharks bounced back with one of the better summers in team history. The club was active in free agency, found an experienced coaching staff and addressed key issues they had last season. It was a dream come true for Sharks fans. But despite all the fantastic moves that were made, people still don’t have faith in the franchise. San Jose’s odds of winning the Stanley Cup are 45/1 according to Las Vegas, Nevada. Those chances are the same as the Edmonton Oilers and Ottawa Senators, and less than that of the Columbus Blue Jackets and Winnipeg Jets. In addition to this, a recent informal poll conducted by EA Sports’ Facebook page asked followers which teams that missed the postseason last year would make it this year. Teams like the Los Angeles Kings and the Dallas Stars gathered the most confidence by taking over 25 percent of the votes each. However, fewer than 11 percent believed San Jose would make their way back into the playoffs in 2016. I am not saying that the Sharks playing in late April is a slam-dunk since almost everyone in the Pacific Division has improved. But, they definitely stand a better chance than what people are giving them. To gain an understanding as to how much the Silicon Valley team improved in the offseason, we must compare their notable subtractions—Scott Hannan, John Scott and Antti Niemi—with their key additions—Paul Martin, Joel Ward and Martin Jones. Sharks fans like to think of these adjustments as trades, as in the team essentially traded Hannan for Martin and Scott for Ward. Granted, the change from Jones to Niemi is not thought of that way since San Jose gave up a first-round pick for their new netminder, but the thought process is the same. So, let us look at the difference these new additions will have on the club. In 58 games last season, Scott Hannan averaged 16:19 time on ice, broke even in plus/minus and earned a negative corsi of 47.5 percent. 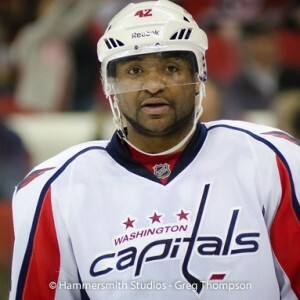 It was clear to management that the veteran was well beyond his prime and could barely qualify for a sixth defenseman. For this reason, Wilson elected not to re-sign him. 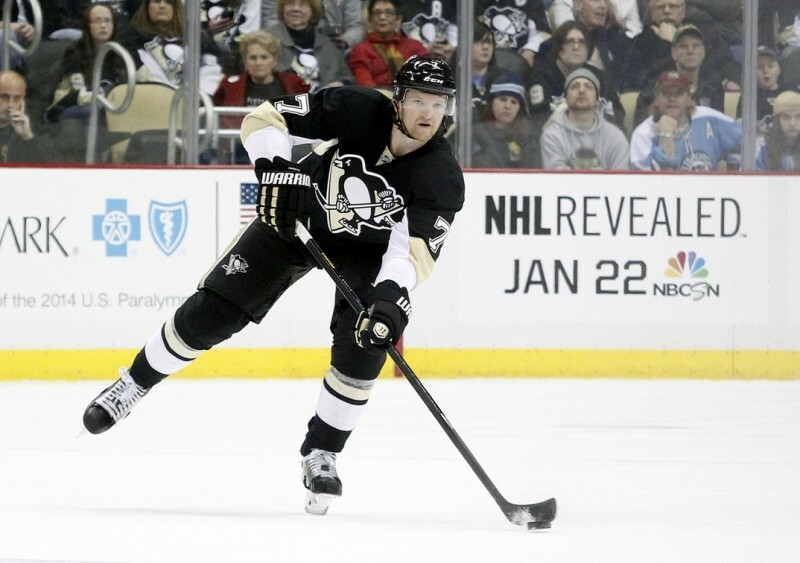 He instead signed former-Pittsburgh Penguin, Paul Martin, to a deal to bulk up the Sharks’ defensive corp. Contrary to Hannan, Martin put up fantastic numbers in Pennsylvania. In 74 games, the 33-year-old played almost 23 minutes a night, was a plus-17 and managed an above-average 53.1 percent corsi. This man is a defensive stud. From this psuedo exchange, Team Teal gained someone who could chew up six extra minutes a game, consistently comes out positive in goals-for and has the ability to be a solid possession player. Even though Martin may be passed his peak, he is still an effective player that can shutdown the best the league has to offer. This tradeoff is incredible. The other notable improvement comes in the Sharks’ forward group. It involves letting a goon walk in favor of bringing in a player with offensive talent. Scott was the pylon on the team and rarely made a difference on the ice, even if he was playing physical. The career fourth-liner skated in just 38 contest and somehow managed to earn four points in that span. He also miraculously broke even in plus/minus last season. However, he only played 7:27 a night and had a 45.3 percent corsi. Fans knew Scott wasn’t going to make a positive impact on the roster, and the season he had only proved their point. Letting him go was probably an easy decision. 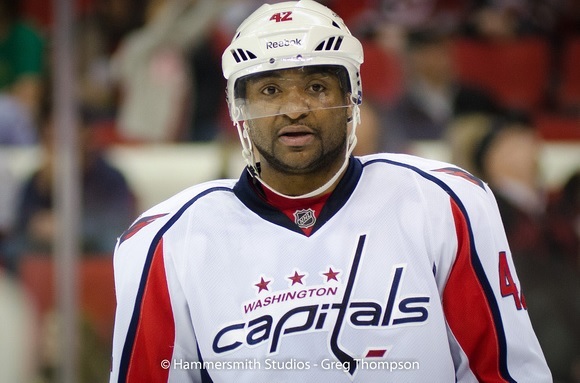 To replace him, the organization signed former-Washington Capital, Joel Ward, to a multi-year deal. Ward had himself a respectable year in the United States’ capitol, scoring 34 points in 82 games. He also played over 16 minutes a game and broke even in possession metrics despite being slightly negative in plus/minus. Acquiring him gives Wilson and head coach, Peter DeBoer, a lot of freedom and flexibility when assembling their lineup. He will be a force in teal. The net gain of this scenario is 44 games, 30 points, nine minutes of time a night, and a better shot-attempt ratio per contest. This comparison is a difficult one given that Jones has very little experience at the NHL level. 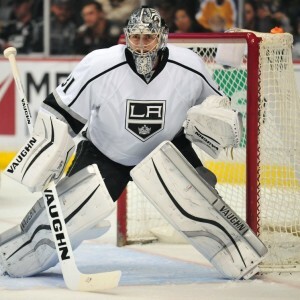 However, the ex-King/Bruin was stellar with the Manchester Monarchs of the AHL, leaving many optimistic about his potential. 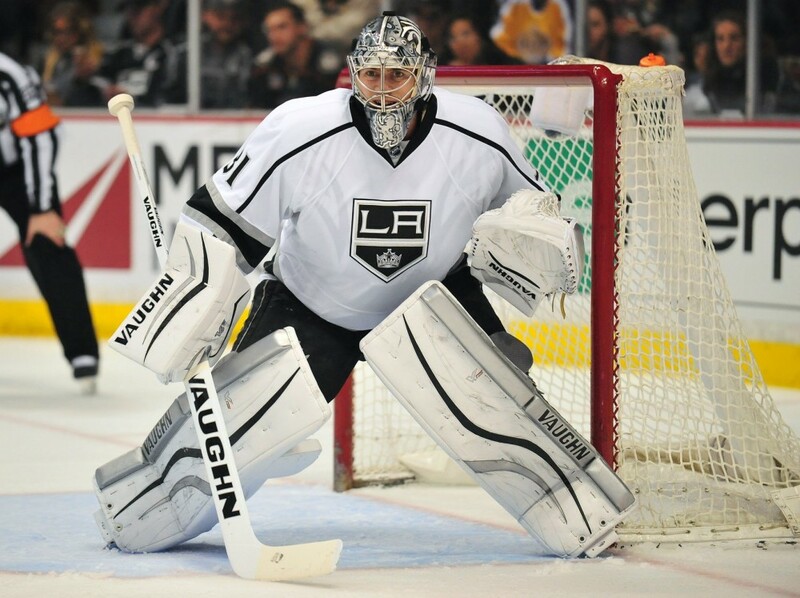 Niemi was not the man for San Jose and he underperformed in every postseason except the lockout-shortened year. His play in the regular schedule was decent, but his playoff numbers were notoriously bad, even when he won it all with the Chicago Blackhawks in 2010. I will not dig too deep into speculation here and will instead allow Jones to speak for himself with his play in a starting role next year. But, his potential is high and many are confident in his abilities to perform well on a nightly basis. The Sharks missed the playoffs by ten points last season with a team that was all-around worse than the one they have now. They may have two question marks in Jones and the new coaching style of DeBoer, but the fanbase is optimistic about both of them. The loss of Hannan and Scott coupled with the gain of Martin and Ward is a tremendous victory for San Jose. These two new acquisitions represent a drastic improvement to a squad that desperately needed it. The changes made in the summer have rejuvenated the pessimistic crowd at SAP Center and many are ready for another run at the Cup. The rest of the division may have improved as well, but the adjustments made by the Sharks’ management are quite significant and will surely take the team to the next level. Barring any major train wreck or injury, the San Jose Sharks will compete for Lord Stanley’s Cup once again in 2016.